The (O2) Oxygen Sensor measures the difference between the amount of oxygen in the exhaust gas and the amount of oxygen in the air. So, With information from the (O2) Oxygen Sensor and other sources the ECU can decide whether the air–fuel ratio of your engine is rich or lean. Also, The (O2) Oxygen Sensor is not able to measure the air or the fuel entering the engine. The (O2) Oxygen Sensor is located in the exhaust and that where it reads the actual oxygen content in the exhaust. But, When all the information is gathered up, the ECU can determine the incoming air–fuel ratio. The ECU attempts to maintain, a certain air-fuel ratio by interpreting the information gained from the (O2) Oxygen Sensor. The ideal ratio for oxygen and gasoline is 14.7:1, which slightly varies depending on different types of fuel. Both the rich and lean mixtures are bad for your car, as well as for the environment. Finally, This information is sent to the ECU in the form of a voltage above or below a preset amount. The base voltage is approximately 0.45 V (450 mV) DC. keeping the air and fuel mixture at the optimal ratio. A voltage output lower than the base amount around 0.2 V (200 mV) DC would indicate a lean mixture. 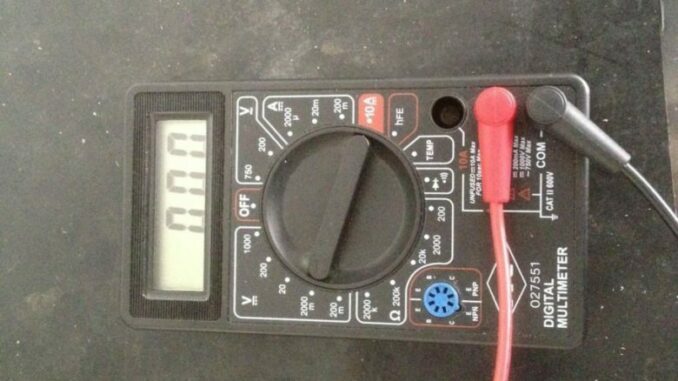 A voltage output higher than the base amount around 0.8 V (800 mV) DC would indicate a rich mixture. So, Having this information in real time helps determine whether the air–fuel ratio is rich or lean. 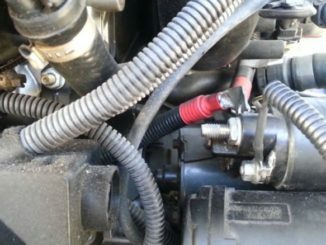 Finally, If your (O2) Oxygen Sensor fails to function properly, your engine management computer cannot determine the air to fuel ratio. Therefore, the engine is forced to guess how much fuel to use, resulting in a polluted engine and a poorly functioning vehicle. So, What happens to Oxygen (O2) Sensor over time is that they tend to become fouled with carbon and sooty deposits, or the element just simply erodes and wears down like the electrode on a spark plug. They can also become fouled if any silicone from grease or lubricants makes its way to the exhaust stream, or if any oil or coolant make their way to the combustion chambers. 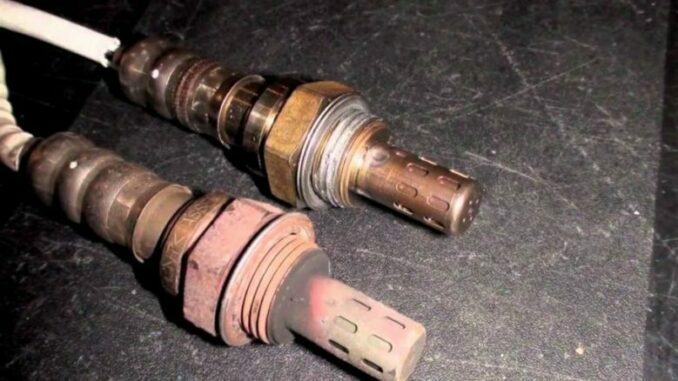 If the oxygen sensor is too worn out, it will lag in response time or can just stop working altogether. Consequently, If it sends voltage readings that are outside of norms, the computer will register a trouble code and illuminate the Check Engine light (CEL) on the dash. Finally, You can connect a scanner to the vehicle’s diagnostic port and access the trouble code. It’s true that many of these symptoms could be caused by various problems, but the trouble code from the (O2) Oxygen Sensor will narrow it down quickly. So, Over time, your (O2) Oxygen Sensor can become caked with byproducts of combustion like sulfur, lead, fuel additives, and oil ash. As a result, This keeps your sensors from sending signals to your engine’s computer. Also, Using fuel that isn’t recommended for your vehicle or low-quality gasoline can make your Oxygen (O2) Sensor fail faster. So, An oxygen sensor failure can lead to incorrect readings of exhaust gasses. As a result, The faulty sensor can cause a too rich or too lean condition. Too rich and the catalyst can melt down. Therefore, Too lean and the converter is unable to convert the hydrocarbons into safe elements and may not pass a state inspection. So, The fuel that powers your vehicle is meant to burn in the combustion chamber only. 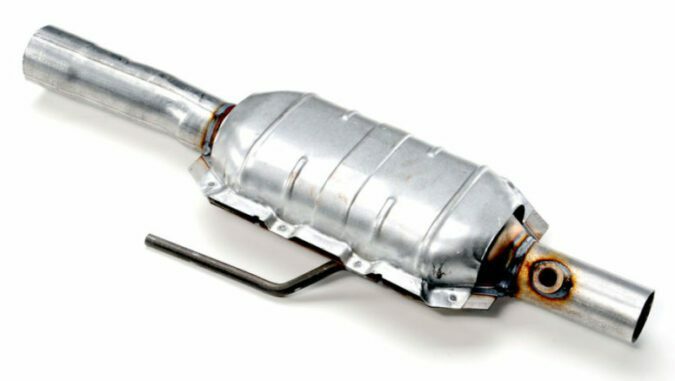 Any fuel that leaves the combustion chamber unburned will enter the exhaust system and light-off when it reaches the catalytic converter. This can super-heat the converter far above normal operating conditions and cause a Meltdown. Finally, Possible causes are an incorrect fuel mixture, incorrect timing, corroded spark plugs, a faulty oxygen sensor, sticking float, faulty fuel injector or a malfunctioning check valve. If your engine has a vacuum leak, the air-fuel ratio in your engine will be higher than 14.7:1, also called a “lean” mixture. This ratio means that there is too much air in your engine, and as a result, the engine will run poorly or not at all. 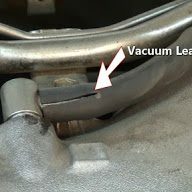 What is interesting about a vacuum leak is it can look like something else. The air/fuel ratio is very important in the proper workings of an engine. So, The proper amount of air has to be present, or else combustion efforts are greatly affected. 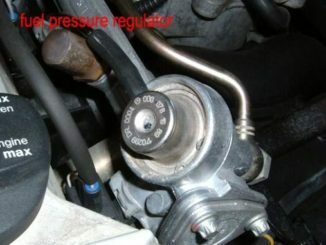 The leak can result in air that is not properly measured entering into the engine. Finally, That upsets the balance and the result can be the engine having some difficulties. A stuck open EGR valve will create a lack of oxygen in the exhaust, since the recirculating exhaust has all its oxygen already burnt. Furthermore, The ECM sometimes uses the Oxygen (O2) Sensor to check for proper EGR operation and sets a code if necessary. 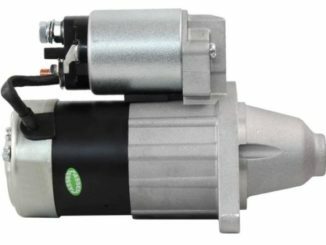 So, be aware of the fact that a vehicle might be running lean because the ECM sees a rich Oxygen (O2) Sensor signal due to a defective (stuck open) EGR valve. Since the ECM sees a rich signal, it will try to correct with a lean command and try to lower the oxygen sensor high voltage signal. Start the engine and check the sensor voltage signals on your voltmeter. The sensor voltage should cycle or fluctuate within the 100 mV-900 mV (0.10 to 0.90V) range. Hence, This means the sensor is operating properly. If the Oxygen (O2) Sensor only produces a low or high voltage signal, either you have an engine performance issue or the Oxygen (O2) Sensor stopped working. To verify sensor operation, conduct the next two tests. 1. First, disconnect the hose from the positive crankcase ventilation (PCV) valve leading to the intake manifold. This will allow more air to enter the engine. 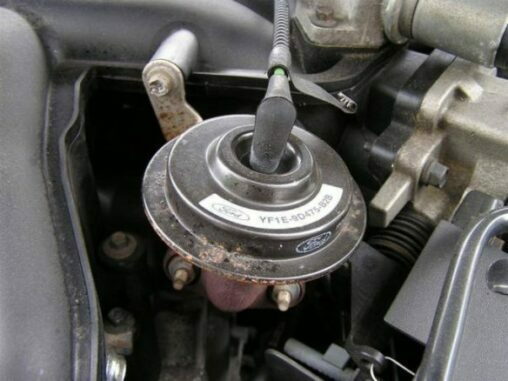 If you need to locate the PCV valve, consult your vehicle service manual. 2. Check the sensor’s signal voltmeter reading. Hence, An oxygen sensor interprets an increase in oxygen as a fuel lean condition and emits a signal close to 200mV (0.20 V). If the sensor doesn’t respond accordingly or takes time to respond, the sensor isn’t working properly. 1. Next, disconnect the plastic duct from the air cleaner assembly on your vehicle. 2. Block the duct opening leading to the engine with a clean rag. As a result, This will reduce the amount of air going into the engine. 3. Check the sensor’s signal voltmeter reading. An oxygen sensor interprets a decrease in oxygen as a rich fuel condition and emits a signal close to 800mV (0.80 V). If the sensor doesn’t respond accordingly or takes time to respond, the sensor isn’t working properly. 4. Finally, Reconnect the air duct to the air cleaner assembly and turn off the engine. So, If your sensor didn’t respond properly to your tests, the sensor has stopped working and you need to replace it. If the Oxygen (O2) Sensor in your vehicle responded correctly to your tests, you might have a problem with another component affecting fuel efficiency. Also, The engine may have a vacuum leak, a problem in the ignition system or something similar. Any one or more of these can cause misleading results. So, As you can see testing is way cheaper than just replacing parts. There are many different types of (O2) Oxygen Sensor and testing methods. So, I will just supply Links from our PDF Library. If you have any trouble opening these files you may have to download the PDF Files Reader Here. One of the most important sensors in modern cars is the oxygen sensor. Also known as the O2 sensor because O2 is the chemical formula for oxygen, the oxygen sensor monitors how much unburned oxygen is present in the exhaust as exhaust exits the engine. So, By monitoring oxygen levels, the sensor provides a means of measuring fuel mixture. So, The O2 sensor lets the computer know if the fuel mix is burning rich (not enough oxygen) or lean (too much oxygen). Finally, Knowing the ratio of fuel to air allows your vehicle’s engine to make any necessary changes to ensure that your car runs like it should.